Jerusalem | Musings by Yvonne. Selah! Jerusalem, Wednesday, 5 April 2006. After walking through the empty tomb at Calvary, we followed the path up to the park benches and sat down with others to discuss what we had seen and await the communion service we would soon experience together. Throughout my time in Israel, I had been thinking how wonderful it would have been if my late husband could have shared this experience of traveling through the Holy Land—walking through the land where Jesus walked two thousand years ago. Then my ears perked up. Could it be? Yes; there was a group of people assembled by the open tomb singing “Fairest Lord Jesus”—in German! It was the first German I had heard in Israel, and this happened to be one of my husband’s favorite hymns. I sang along on the first verse, but by the time they began the second verse the reality of the words and the incident began to well up within the depths of my soul. This group sang all five verses in German—my husband’s native tongue. It had been a while since my tears came gushing with this magnitude. 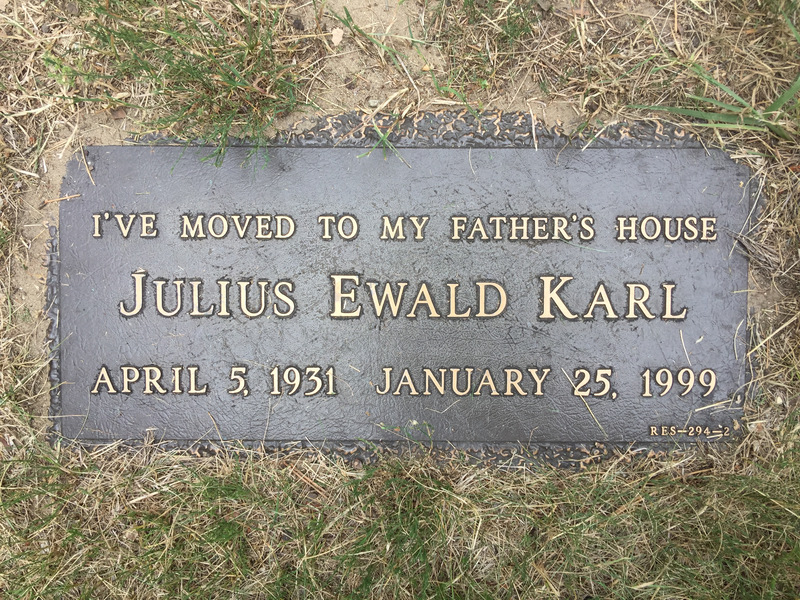 You see, my husband is buried in the Resurrection section of the cemetery in Livonia, Michigan. Right beside his grave is a replica of the tomb with the stone rolled away and a sign reading: “He is not here; He is risen!” The German group was singing beside the open tomb—under the exact same sign. No one else in our tour group indicated they knew German. In fact, most of our people were oblivious to the singing. A few people later told me they thought the melody sounded familiar but couldn’t place it. Why? It was just for ME! That’s how much my Lord loves me! After returning home, I shared this story with my children, and they cried with me. My daughter asked, “Mom, what day did this happen?” I thought back and realized it was Wednesday. You guessed it—April 5—my husband’s birthday! But he, too, has risen and is very much alive with his Risen Lord and Savior Jesus Christ. NOTE: My late husband moved to his Heavenly Father’s house 25 January 1999. Any grief that remained in me was released that day at the tomb in Jerusalem. I will always be thankful for my new friend Hya who held me while I released it all! (c) The Alabaster Box. C. Yvonne Karl, 2006.